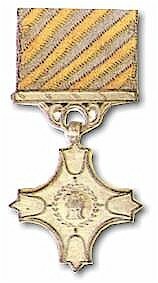 Wing Commander Nirmal Kumar Bakshi and Wing Commander Rajiv Dobhal have been awarded Vayu Sena Medal (Gallantry) on the eve of Republic Day 2016. Wg Cdr Bakshi was part of the relief operations in Nepal. On 12 May 15 , after a second powerful earthquake hit the country, Nepalese officials rushed to him with information of different locations where grievously injured causalities were reported. Wing Commander NK Bakshi got airborne immediately, followed up with a precise plan in air, addressing the criticality and reached the respective areas. The casualties were not in a position to be moved at all and thus could not be relocated to an alternate location where the aircraft could land. The sites were located on sloping soft ground surrounded by a high density if obstructions, especially tall trees and dangling cables. The collapsed buildings and debris all around posed a serious threat to the aircraft and the probability of the aircraft downwash causing landslides posed even more serious threat to the people on ground. Undeterred by the setting sun and low visibility conditions, Wing Commander Bakshi courageously pressed on with the rescue and skillfully brought down the helicopter amongst obstructions. He maintained the helicopter rock steady and light on wheels to avoid a possible land slide. The evacuation spots provided little or no margin for error that called for courage and professionalism of the highest order. Displaying both, Wing Commander Bakshi evacuated nine serious casualties, including four children from different locations in the shortest possible time. Flying back to Kathmandu under extremely poor visibility conditions, Wing Commander NK Bakshi coordinated for a specialist paramedic team to be available for immediate medical care. The mission was well appreciated and boosted the morale of the rescue teams to a new high. Apart from this courageus mission, he flew 55 hrs in 78 sorties in the region. Wing Commander Rajiv Dobhal Flying (Pilot) is commanding a front line Mi-17 V5 Unit since 12 May 14. On 25 Apr 15, the Unit was tasked to participate in OP Maitri in Nepal. Within a few hours, Wing Commander R Dobhal got airborne and positioned at Gorakhpur in difficult weather conditions. He thereafter proceeded to Kathmandu at first light and as the officer in charge of operations; he immediately took up the challenge and assisted the IAF Task Force Commander in formulating operating procedures. Thus, within hours of induction on foreign soil, IAF helicopters were able to commence relief operations. In the following three weeks, he flew 176 sorties, undertaking several demanding missions and rescuing numerous survivors. The most noteworthy was the rescue of 95 stranded Indian mountaineers from Lukla – one of the most dangerous airfields in the world. On 05 May 15, the IAF contingent was tasked for an urgent evacuation of a Spanish rescue team from Langthang village at an altitude of 12,5000 feet. Due to the criticality of the mission, the Spanish Ambassador and Defence Attaché personally briefed the pilots and stressed the fact that their team was ill equipped to survive the night. Mindful of the high risk involved and the team’s survival, Wing Commander Dobhal got airborne after carrying out meticulous mission planning. On landing at Langthang, he found that the rescue team had moved away. The situation started becoming critical due to onset of a hailstorm and deteriorating light conditions. After thoroughly assessing the risk involved, he decided to search for the team. With the weather close at heels, he flew along the valley bottom and finally spotted the team 10 km away. Displaying utmost professionalism, he skillfully maneuvered his helicopter to land on a restricted field and rescued the Spanish team. As the helicopter exited he valley, the entire area was engulfed by hailstorm. Thus, in the face of adverse conditions, he gallantly executed an extremely demanding mission and earned accolades for IAF from the international community.